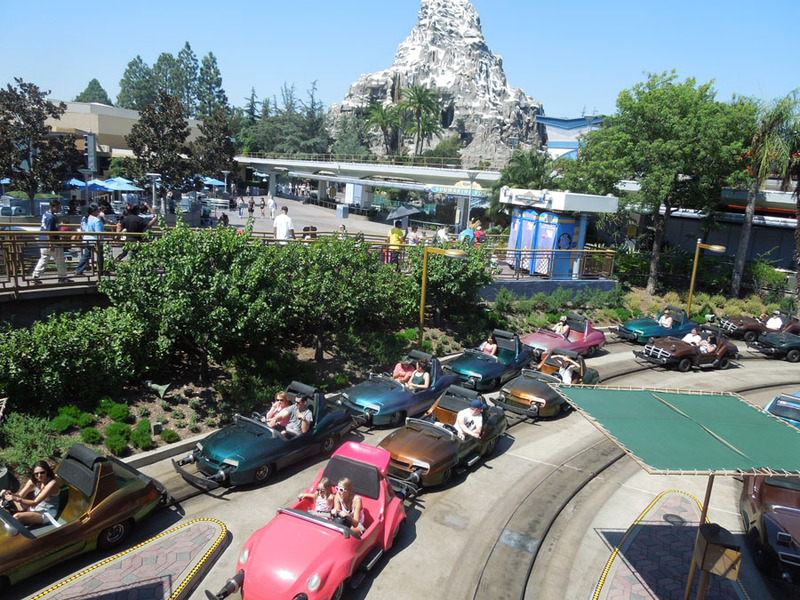 Autopia is a huge mini-Indy car roadway. 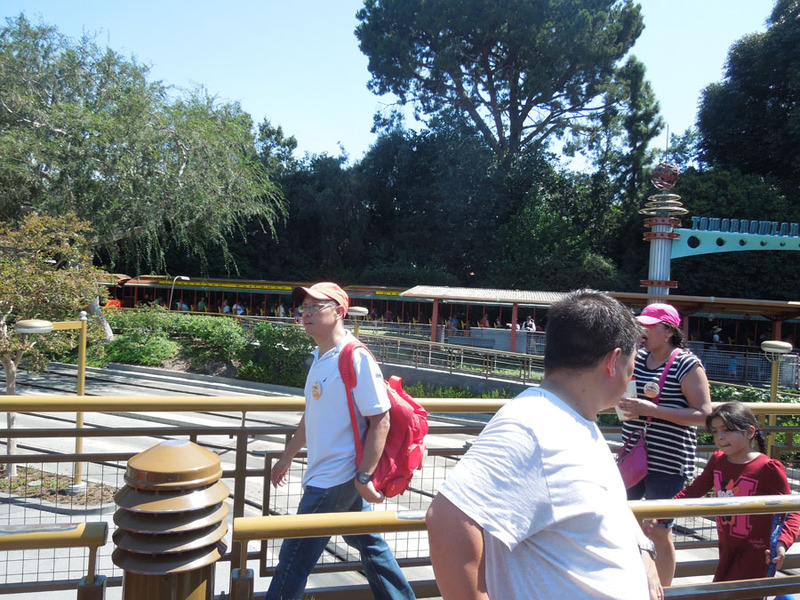 It is one of those attractions at Disneyland which isn't particularly unique, but it is still very, very popular. 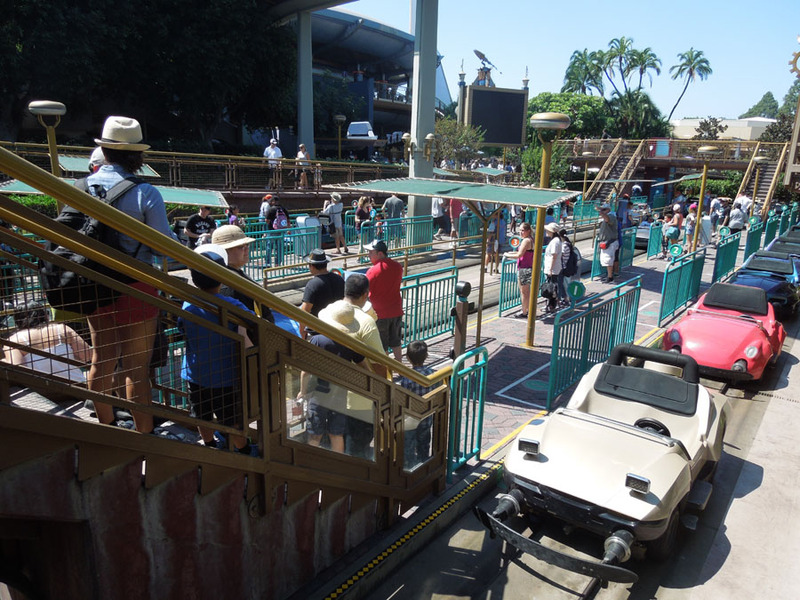 It is so popular that the ride offers FastPass. It is at the far east end of Disneyland. 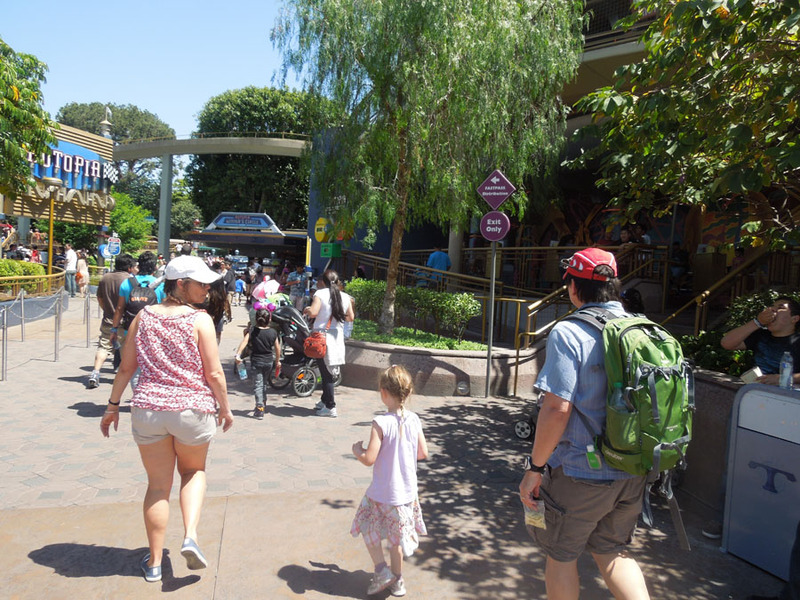 In the photo above, you can see the Autopia fastpass distribution point. These are probably among the least sought-after fastpasses in Disneyland. 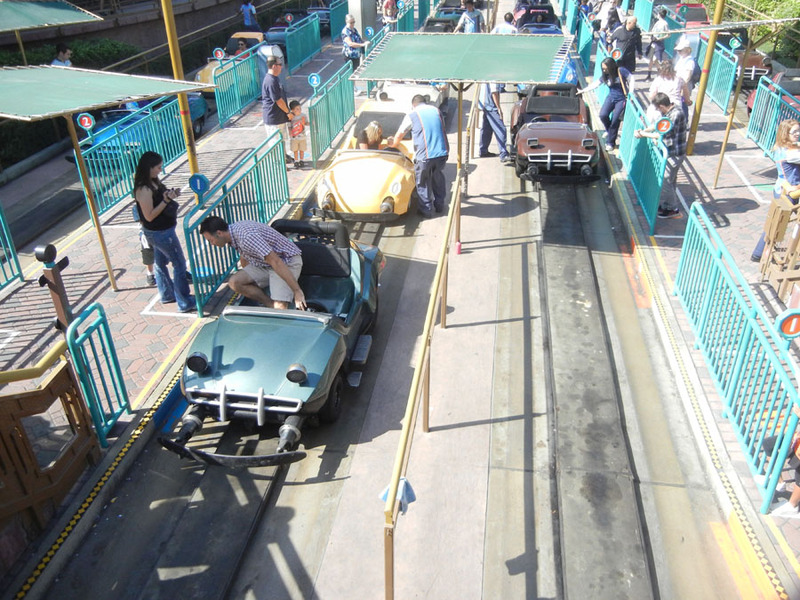 The line management for Autopia seems to expect thousands of people in line, so it must happen occasionally. 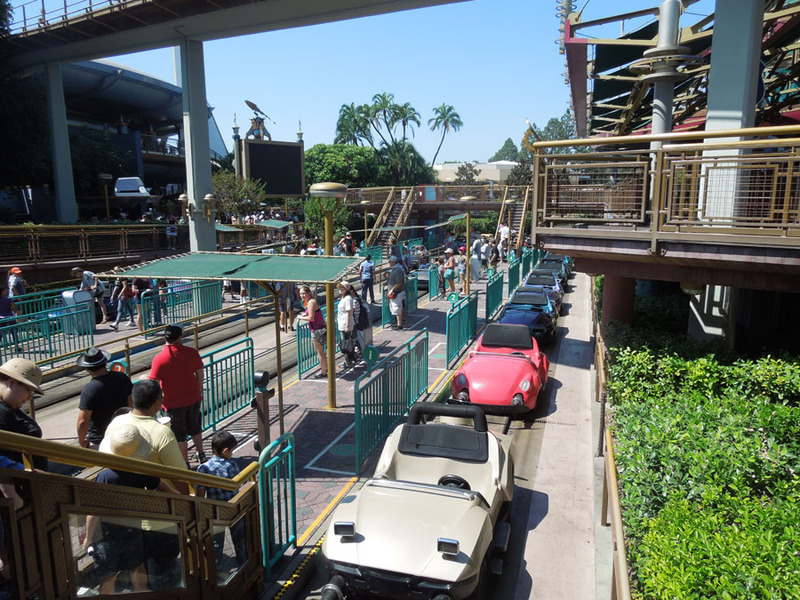 This part of the line in Autopia is raised above the roadway and well shaded. 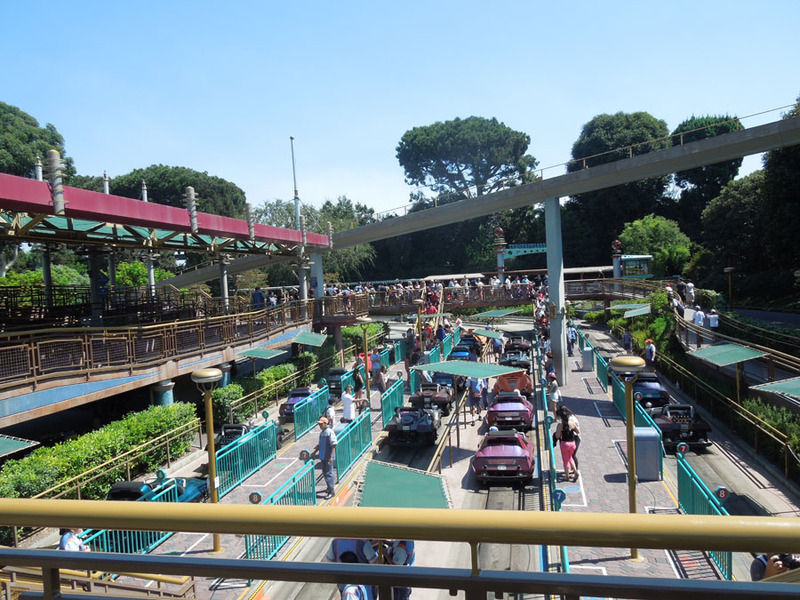 The car loading area at Disneyland Autopia. It looks like the cars are driven from the left and right side of the car. 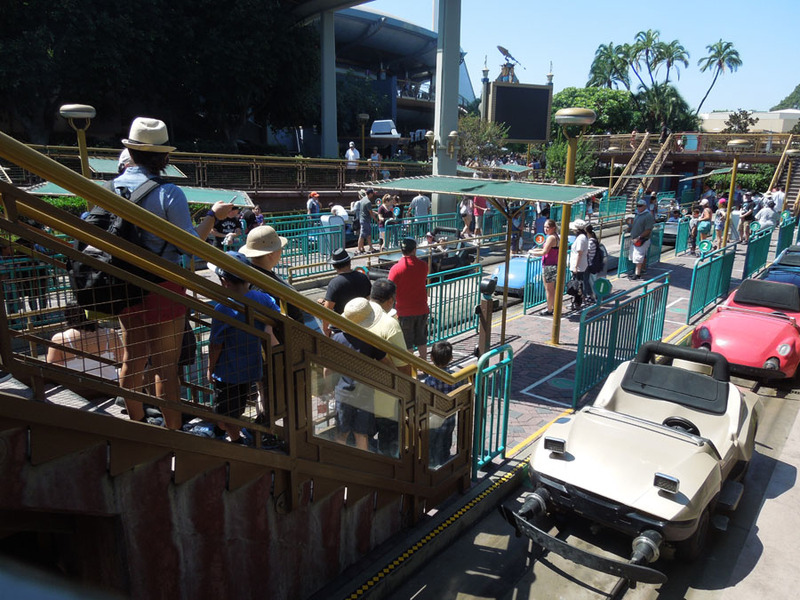 The last part of the line is walking down a staircase to the car loading area. Stacy awaits her turn at station six. 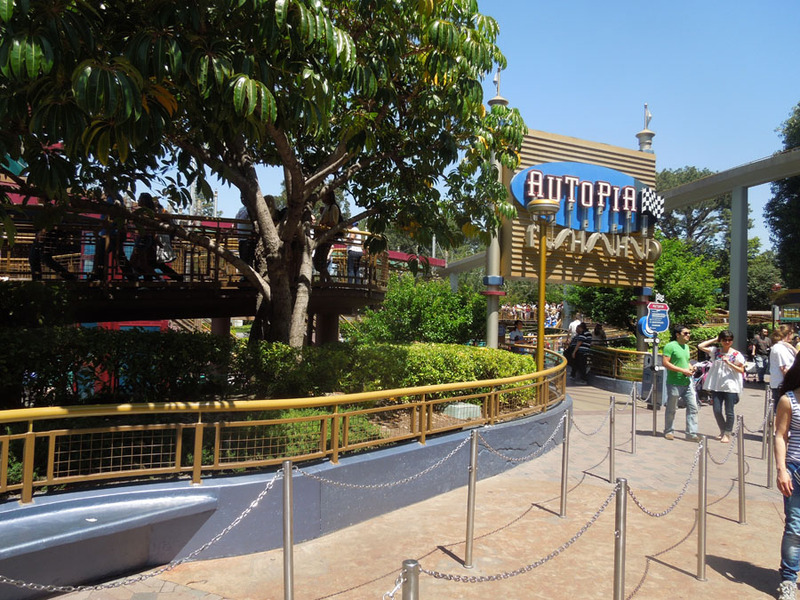 This round structure is used as part of the line in Autopia. 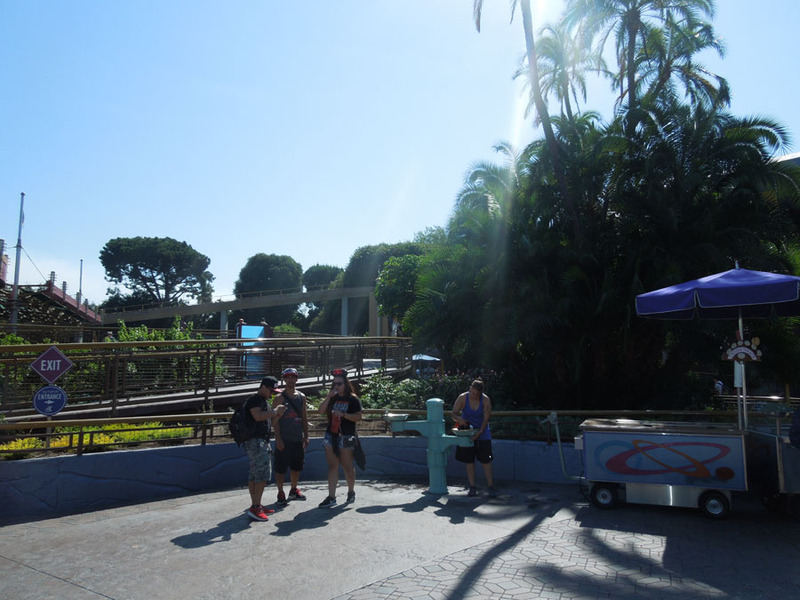 Drinking fountain and ice cream cart at the exit of Autopia. 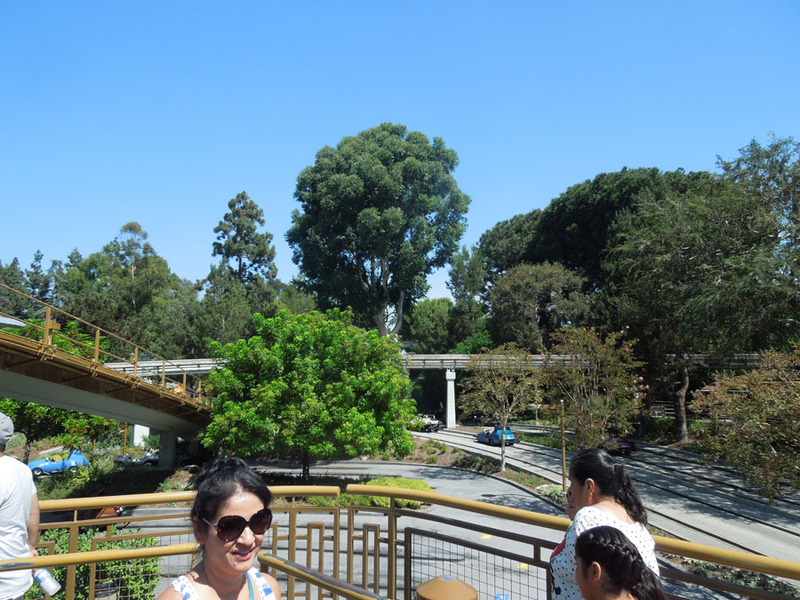 Elevated line at Autopia. The handrails up here have some paint worn away. 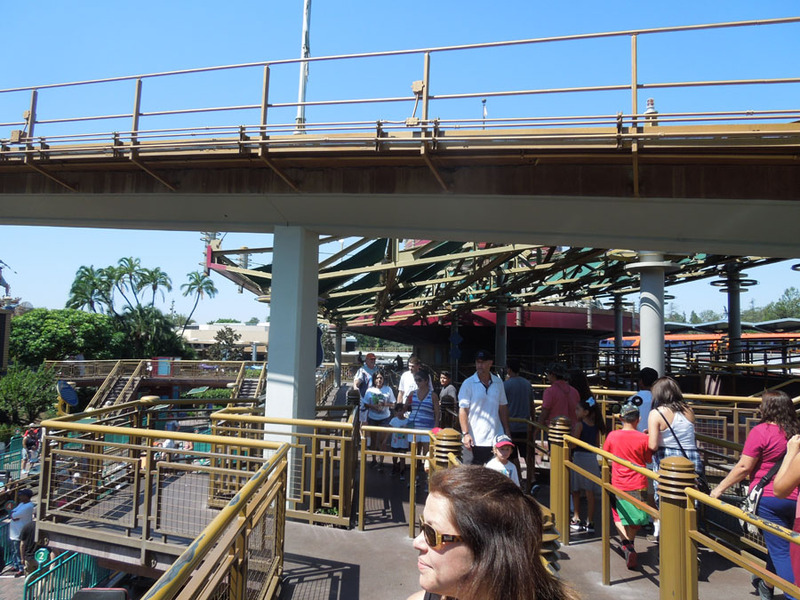 Seeing an imperfect part of Disneyland like this is like seeing a unicorn. The staircase down to the cars. 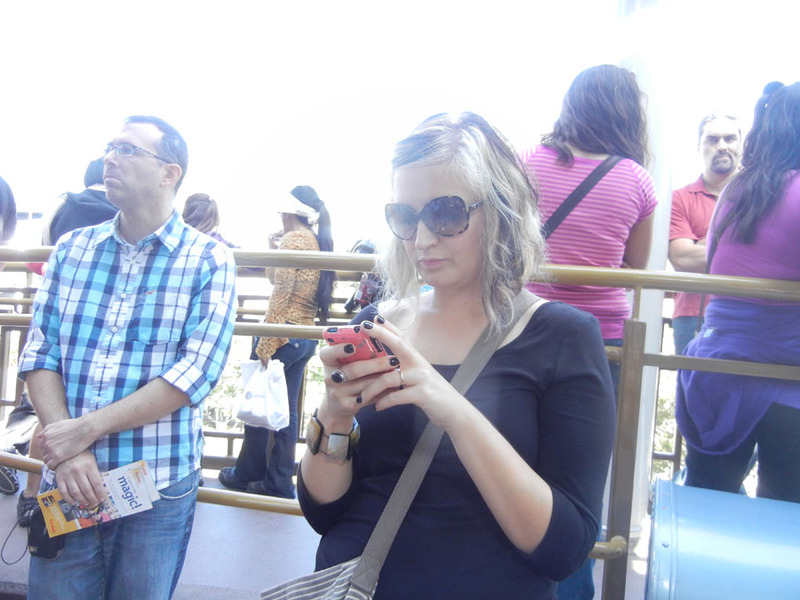 Waiting to board the cars. 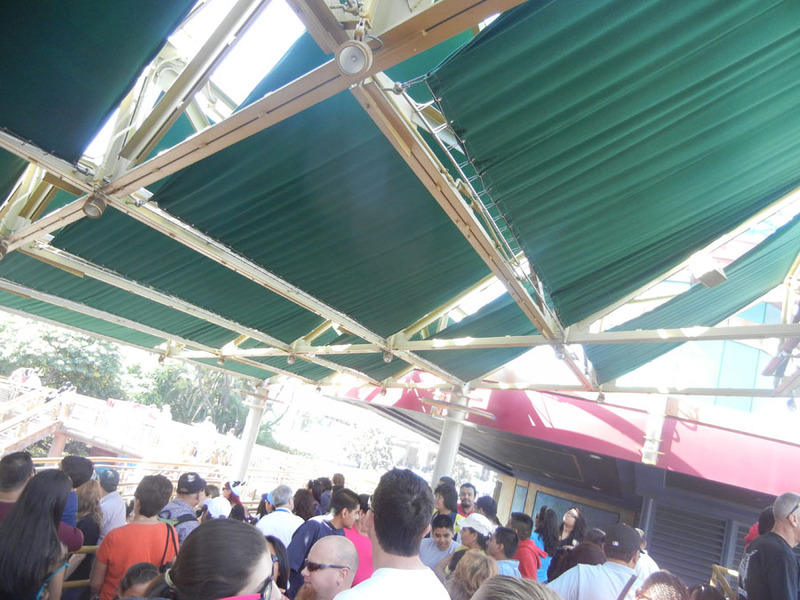 The portions of the line which were not covered were very hot. In line, surrounded by circling cars. 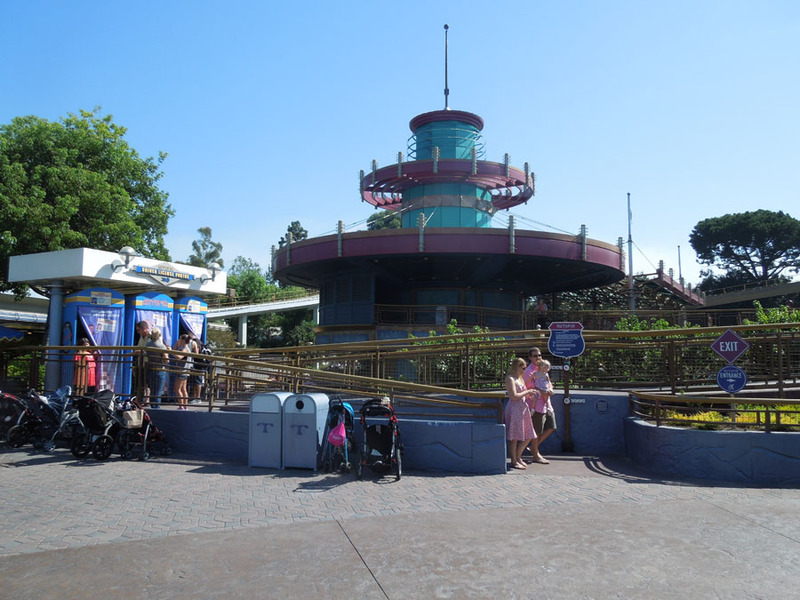 Tomorrowland terrace to the left and Matterhorn, Monorail on the right. Look at that column holding up the monorail. 30 feet straight up! 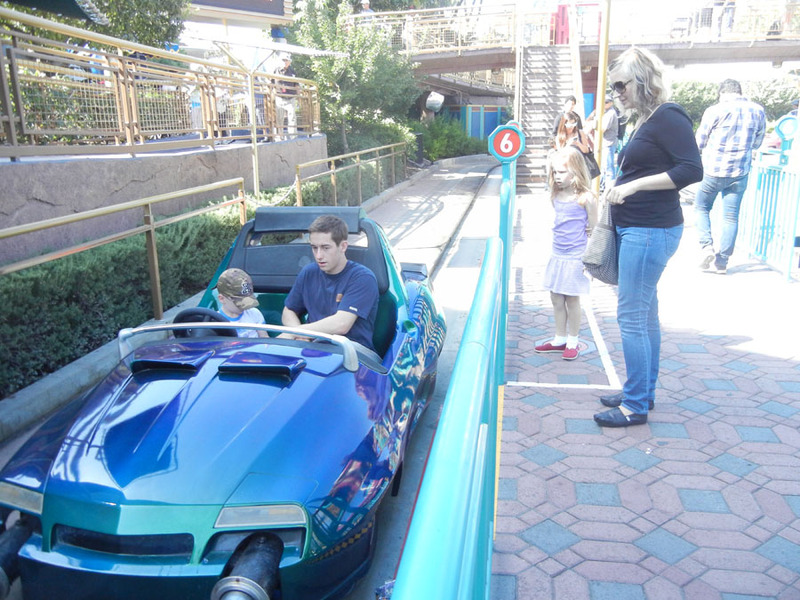 Please continue reading page two of Autopia photos. 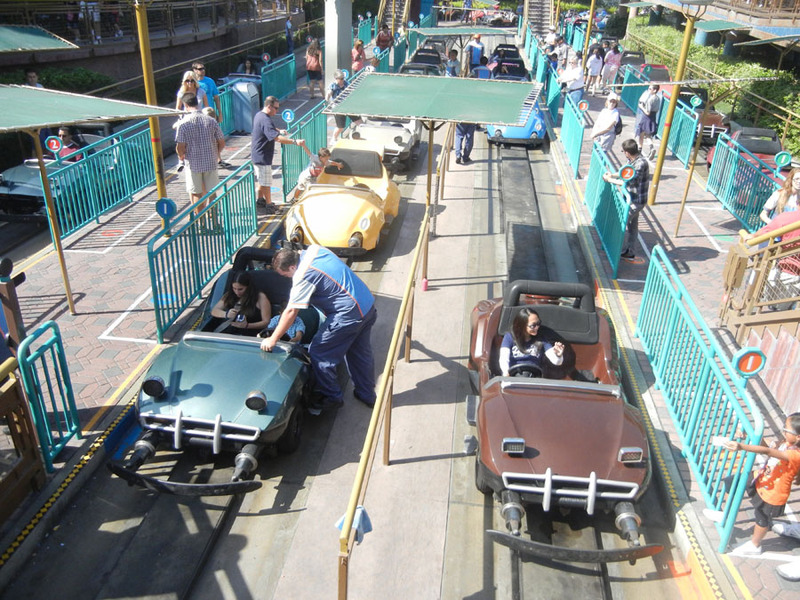 For a ton of photos taken from inside the Autopia cars, I set up another batch of photos.